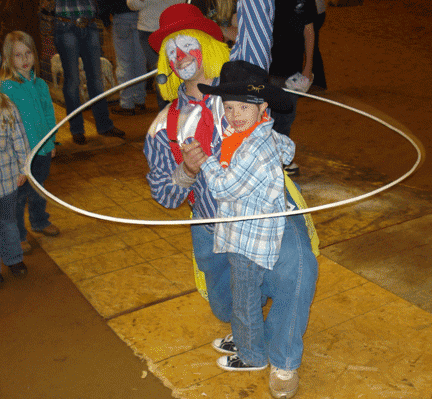 There is more to Trent than just clowning around; he is available for a more serious role as a Cowboy entertainer with his trick roping, and bull whip skills. He is a premiere entertainer and is able to connect with people of all ages and has over 21 years of experience performing in front of very diverse audiences. 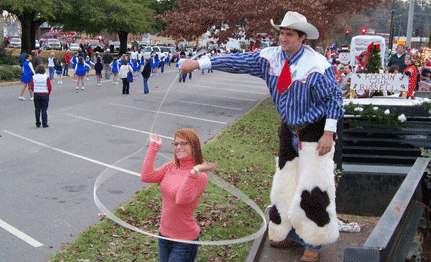 Although he has to schedule these special events around his rodeo’s, he has an established business doing Birthday parties where he is known as Cowboy Trent. But don’t let the fact that he can get on a kids level fool you, he has been invited to perform high class functions such as Ball’s, Award’s Banquets, and even as Alan Jackson’s pre-concert entertainment. Regardless of the event, Trent McFarland will never leave you disappointed with his performance.